Stirlingshire is a county of Scotland. 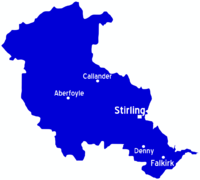 Its county town is the historic city of Stirling. Stirling and greater Stirlingshire are located centrally within Scotland, and Edinburgh and Glasgow are both within easy reach; less than an hour by car or train. Good access is provided to the north of Scotland by rail from Stirling. Part of the Loch Lomond and The Trossachs National Park falls with the regions borders. 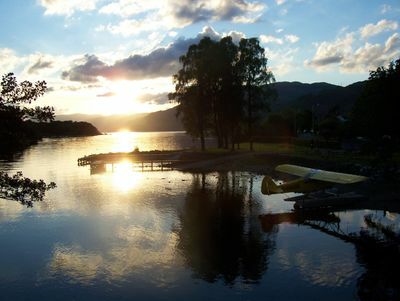 Stirlingshire shares a large border with Perthshire and is a gateway to the Highlands. It also borders Dunbartonshire and Lanarkshire on Clydeside, West Lothian, and Clackmannanshire.